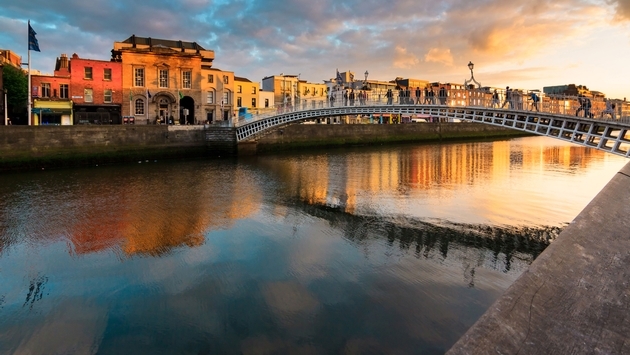 Cruise tourism contributes 50 million euros per year to Irish tourism but that number is slated to decline significantly in 2021 as the Dublin Port Company recently announced it will reduce the number of cruise ships docking in Ireland’s capital city. Dublin hosted 150 cruise ships in 2018 and more than 160 ships are scheduled to visit the port in 2019. But beginning in 2021 that number will be cut by more than half to 80 cruise ships, say Dublin port officials, who attribute the planned reduction to a one-third increase in cargo shipping volume since 2012. 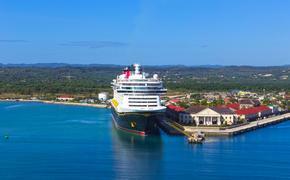 The higher cargo and cruise numbers have created increased competition for berthing space at the port, which must “introduce a system to better balance the allocation of berths for essential year-round cargo services and for seasonal cruise ships,” said officials in local reports. Cruise operators, Irish tourism organizations and cruise industry groups have expressed opposition to the announcement. Niamh McCarthy, managing director of Excursions Ireland and a Cruise Ireland founding member called the decision “drastic” and “astonishing” to Irish tourism stakeholders. Jo Rzymowska, Celebrity Cruises’ Vice President and Managing Director for Ireland called the move “very disappointing” and asked Dublin port officials to reconsider the decision. In a statement to Irish news site RTE.ie, the Cruise Lines International Association called the 2021 berthing schedule “extremely restrictive,” saying that during the 2021 summer season Dublin will only allow two large cruise ships per week. Some local tourism stakeholders say the new schedule will negatively impact their operations. “On a good day you have 100-120 working directly with the cruise line services as well as people working in shops that the coach would go to,” said Fergal Barton, owner of a company that services cruise ships between May and October. Still, O'Reilly said cruise ship traffic contributed only 2.5 percent of port revenues in 2018 and of the 6.4m visitors to Dublin last year, only 200,000 were cruise ship visitors. Dublin will seek to again increase cruise ship calls to 150 annual visits in 2024 and 2025, he added.